Editor’s Note: Our Provincial Leader, Fr. Michael McCabe S.M.A. delivered the following homily at a special mass honouring the memory of one of the Society of African Missions greatest benefactors, Count Llewellyn Blake. The Eucharist was celebrated at St. Joseph’s Church, Wilton, on Tuesday 12 September 2017. Count Llewellyn is buried in the nearby SMA cemetery among many SMA missionaries he helped to educate and resource. May he and all our deceased confreres Rest in Peace in the Heart of Our God of endless generosity whom he sought to follow. Just over a week ago, Fr Michael O’Leary approached me about leading the celebration of a special Mass in honour of Count Llewellyn Blake, one of the great benefactors of the SMA in Ireland, who died on the 8th September, 1916. It was originally proposed to have this celebration last year on the occasion of the centenary of his death, but the urgent restoration work being carried out on the Church led to its postponement until this year. So this commemoration of Count Blake comes a bit late but certainly better late than never to recall with gratitude a man whose generosity ensured that the establishment of the SMA in Ireland would be set on a solid foundation. Welcome all who have joined in this Mass. There is a poem by the Kerry poet, Brendan Kennelly, entitled A Giving. It’s all about the generosity of God ‘who goes about his work/Determined to hold on to nothing’. The man we remember today may not have been determined to ‘hold on to nothing’ but he was a big hearted man whose life reflected God’s generous giving, a man who wanted to ensure that his considerable wealth would be put to good use for the glory of God and the promotion of the Faith. The quality of the man is aptly captured in the following words of Fr. 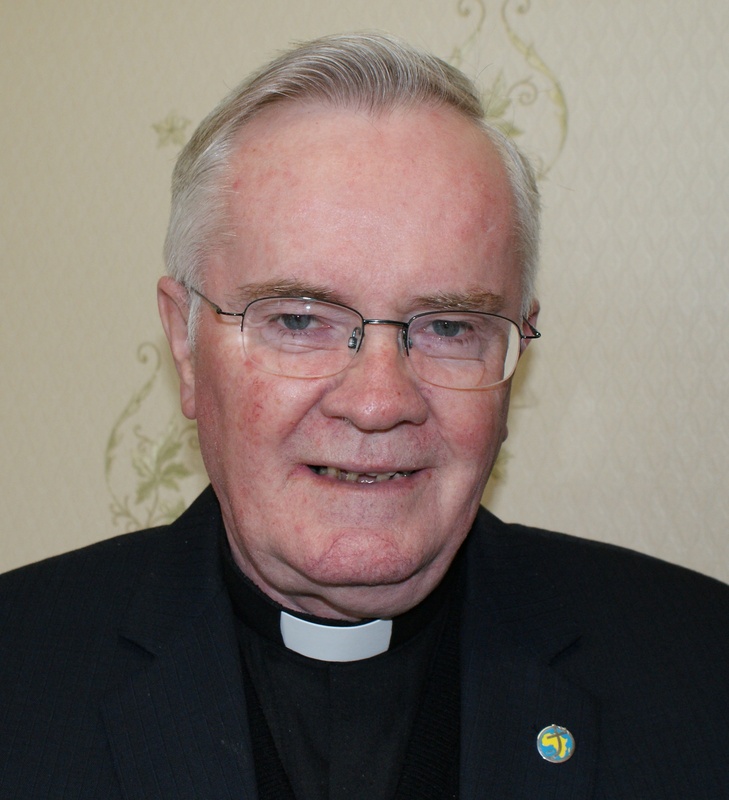 Maurice Slattery, a former SMA Provincial Superior, and Superior General: ‘He had one thought and it embraced the world’. 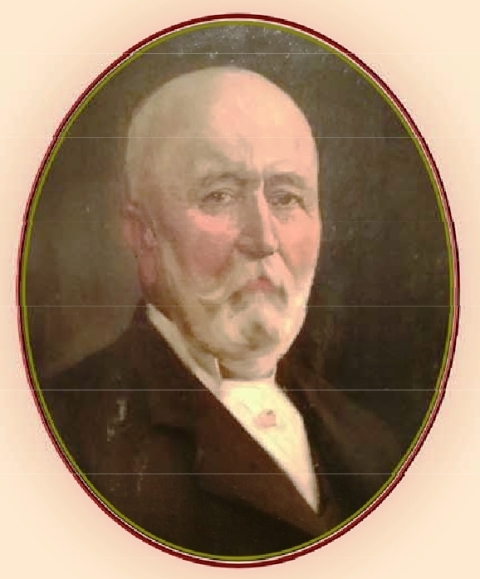 It was in large measure due to the support of this Mayo-born son of the famous Blake dynasty that the SMA was enabled to establish solid roots in Ireland. Some of you may familiar with the story of how the SMA began in Ireland. In 1878 Fr Planque sent a French SMA priest, Fr Devoucoux to Ireland to establish the Society there – with little success. In 1882 Fr Joseph Zimmermann SMA, a native of Switzerland, replaced him and for almost thirty years travelled up and down the country making the Society known, gaining support from many of the bishops and diocesan clergy and seeking financial help from the ordinary people of Ireland. Chief among those supporters was the man we are honouring today. Llewellyn’s first contacts with the Society came in 1899 when, testing the waters as it were, he had sent small sums of money to a variety of religious congregations. Fr Joseph Zimmermann, then Superior of the Irish branch of the SMA, was one of the beneficiaries. He responded by a lengthy letter in which he outlined detailed plans for an Irish mission to Africa. Fr Zimmermann followed up his letter by calling on Llewellyn in his home at Ballinafad and outlining to him his vision of a future which would revive Ireland’s ancient missionary tradition. At the heart of his concept was the development of the Irish branch of the Society as an autonomous Province, which would recruit its own members, train them and then dispatch them to its own mission fields on the African continent. Struck by Zimmermann’s passion and clarity, and persuaded that the project was viable, Llewellyn decided there and then to make substantial funds available to the Irish branch of the Society for the education of candidates to the missionary calling. This work, begun in 1899, continues to this day through our loyal SMA supporters, particularly members of the Family Vocations Community [FVC]. Count Llewellyn Blake is buried at SMA Cemetery, Wilton, Cork, amongst many of the SMA missionaries he helped to educate and resource. Llewellyn had spent some of his teenage years in France and perhaps this is what endeared the SMA to him – gifting the Society with those two large properties as well as providing it with funds to help train SMA seminarians, in France and Ireland. But we were not the only beneficiaries of his generosity. He supported the training of priests in China and Japan and elsewhere. “His annual revenue apparently was employed almost entirely in giving assistance to works of religion, partly at home, but more especially among the foreign missions” – in Africa, Asia, America and Australia and the islands. Truly his was a world-wide vision. But his support was not just confined to missionaries. For his support of the missions Llewellyn was created a Papal Count by Pope Pius X in 1905. And in 1913 he became an Honorary member of the SMA. The Blake family motto, ‘virtus sola nobilitat’ [only virtue ennobles], emblazoned over the students’ entrance door at Cloughballymore in 1918, truly summed up the character of the man. May we who honour him today imitate his nobility of mind and generosity of spirit.